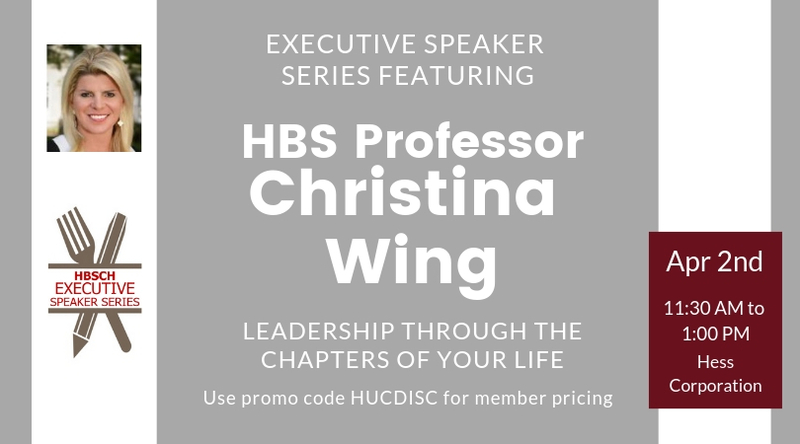 The HBS Club invites all Harvard University Club members to join them at The Hess Corporation from 11:30 AM to 1 PM on Tuesday, April 2, 2019 at an Executive Speaker Series luncheon featuring Professor Christina Wing, Senior Lecturer of Business Administration, as guest speaker! NOTE: the Hess Corporation is located at 1501 McKinney St, in downtown Houston (not to be confused with the HESS Club on Westheimer). Harvard University Club members wishing to attend the HBS luncheon should use the promotional code HUCDISC when registering. For more details, please open the link below to review the invitation. The Club is only as good as its members: click 'HERE' and join us today and your membership benefits begin immediately. For questions or assistance, contact us at HClubHouston@att.net.